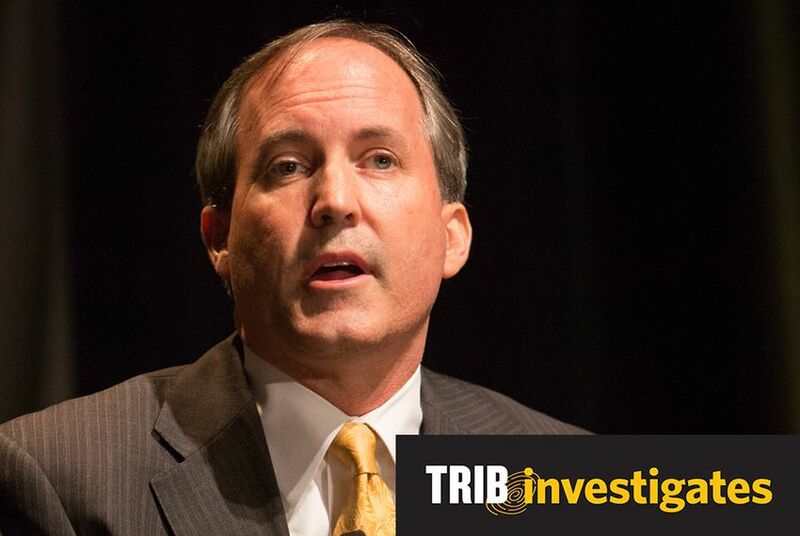 State Sen. Ken Paxton, a Republican candidate for Texas attorney general, violated the Texas Securities Act by soliciting investment clients without being registered as required by law, according to a disciplinary order made public Friday. Under the order from the Texas State Securities Board, Paxton was “reprimanded” and fined $1,000. He is also required from now on to disclose in writing his paid solicitor relationship to any clients he refers to an investment adviser. The State Securities Board, which regulates the securities industry in Texas, released a written statement about the order on Friday. “In any action the State Securities Board undertakes, the only consideration is the facts of the case. The agency does not consider any extrinsic factors,” said board spokesman Robert Elder. "The order speaks for itself." Paxton waived his right to appeal the order, which was signed Friday by Texas Securities Commissioner John Morgan. The action by the state board comes almost two weeks after the Tribune published the results of an investigation into various disclosure lapses by Paxton. The candidate already amended his disclosure filings at the Texas Ethics Commission, revealing previously unreported service on various nonprofit corporate boards. As for Friday's order, Paxton spokesman Anthony Holm said the campaign "took immediate action and proactively communicated the Texas Tribune's questions to the state board." "We asked the board to treat us like every other citizen of the state and that they take all necessary time to review our filings," Holm said. "Due to an administrative oversight, we have paid an administrative fine of $1,000. We are pleased this matter has been resolved and a speedy resolution has been reached." The state’s investigation of Paxton’s solicitor activities revealed that the McKinney Republican engaged in unregistered solicitation activities at least three times — in 2004, 2005 and 2012. But only the most recent one occurred within the past five years, so the $1,000 fine assessed against him pertains to only the 2012 violation. In the March primary, Paxton marshaled Tea Party support and used a public blessing from firebrand Republican Sen. Ted Cruz to finish first in a three-person primary race for the Republican nomination for attorney general. He now faces the candidate who placed second, state Rep. Dan Branch of Dallas, in a May 27 runoff election. The winner will face Democrat Sam Houston in the fall. After the disclosure lapses came to light, Paxton canceled a slew of public appearances while Branch hammered him over the lapses and canceled appearances. Branch issued a statement Friday afternoon about the state disciplinary order. The disciplinary order must be disclosed in a filing to securities regulators within 30 days, meaning it will be part of Paxton's official record as a registered investment adviser representative. Paxton, a lawyer, has been paid a 30 percent commission to refer clients to Mowery Capital Management, records indicate. Experts knowledgeable about solicitor practices describe that percentage, paid out of the management fee Mowery Capital got from the referred clients, as extremely high. The order released Friday pertains only to Paxton's work for Mowery during periods when it fell under state regulation. Between late 2008 and the summer of 2012, Mowery Capital was regulated by federal authorities, which have different registration and disclosure requirements. Securities laws have changed significantly in recent years, and it was not immediately clear whether Paxton or the investment adviser he worked for might have run afoul of any federal regulations. Holm referred back to his written statement when asked specific questions about Paxton's solicitor activities. In his statement, Branch said Paxton "should break his silence and address whether he has also broken federal securities laws and whether he is disqualified from serving as Texas attorney general."